The Cash family may be the most unique you’ve ever met. Living deep in the forest of the American Pacific Northwest, Ben (Viggo Mortensen) trains his six young children to survive in the wilderness, all the while teaching them Noam Chomsky, Dostoevsky and Bach. Yet when a dramatic turn of events requires the family to relocate to the city, the family’s quirks, lack of societal norms and cleverness come to the fore, and ultimately, tests their beliefs to the core. 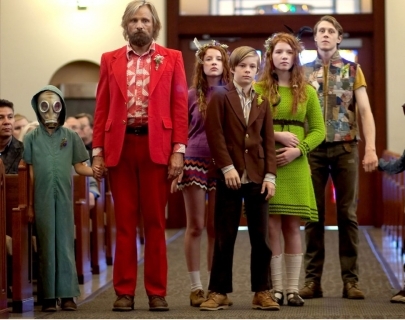 Viggo Mortensen’s magnetic lead performance makes the film a heartfelt, comedic and gorgeous film.